Tiny Towne IDs: Maximize your benefits & add to your child’s real-life experience! Tiny, Booster or Driver’s Permit? 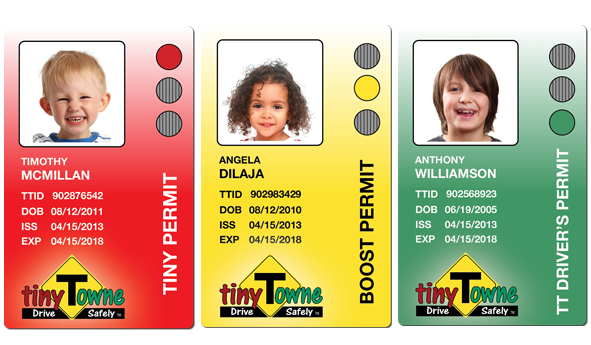 There are three Tiny Towne ID card categories: Tiny Permit, Booster Permit, and Driver’s Permit. 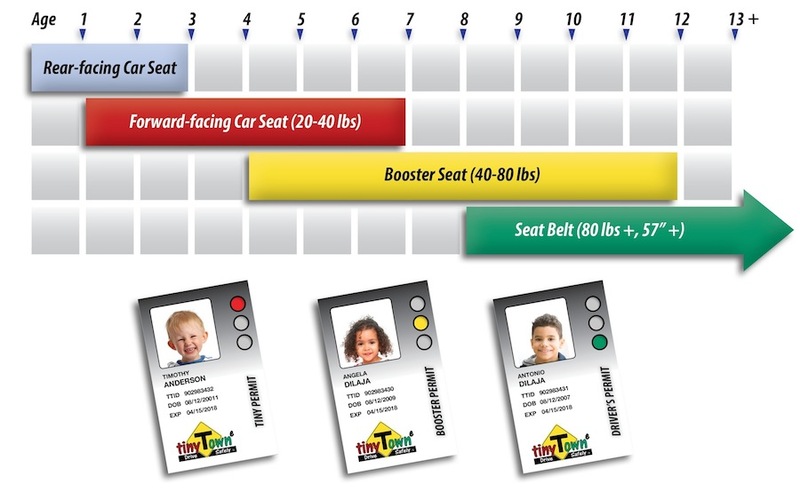 Your young driver’s category is determined by his/her age, weight and height, and correspond to children’s real-life seat-fastening experience. Did you know that the background color of a road sign signifies its purpose? 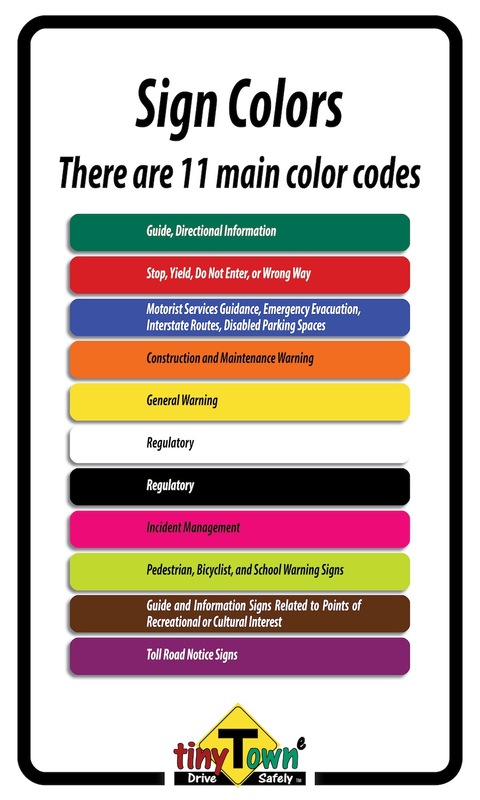 Well, to teach our young drivers a little about that, they can select a color from the 11 road sign background colors for their own permit’s background! Use the graphic on the right to go through the color options and what they mean with your child!